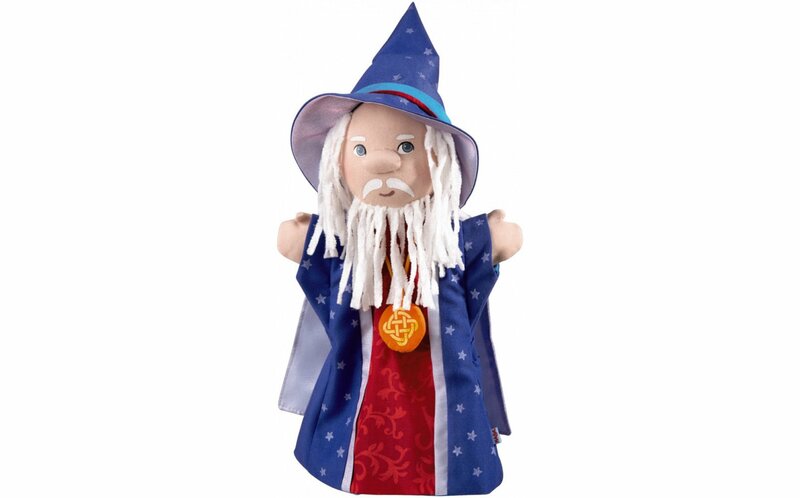 This wizard puppet has an intriguing medallion, blue hat, and long beard. 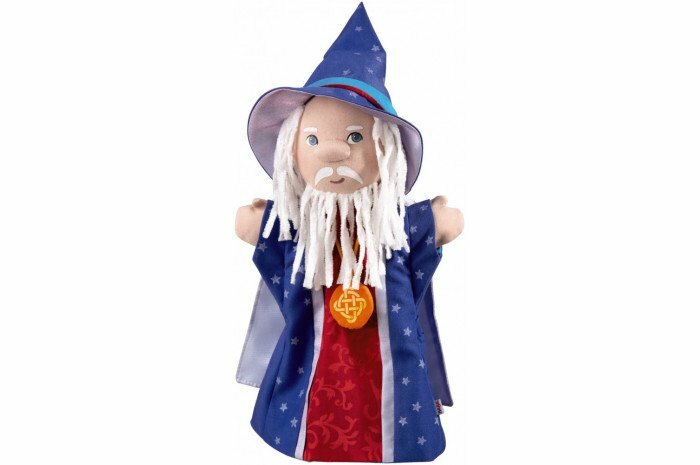 Cute puppet for storytelling and granting wishes and desires. Will fit child hands easily and smaller adult hands. Approximately 10.5" tall.